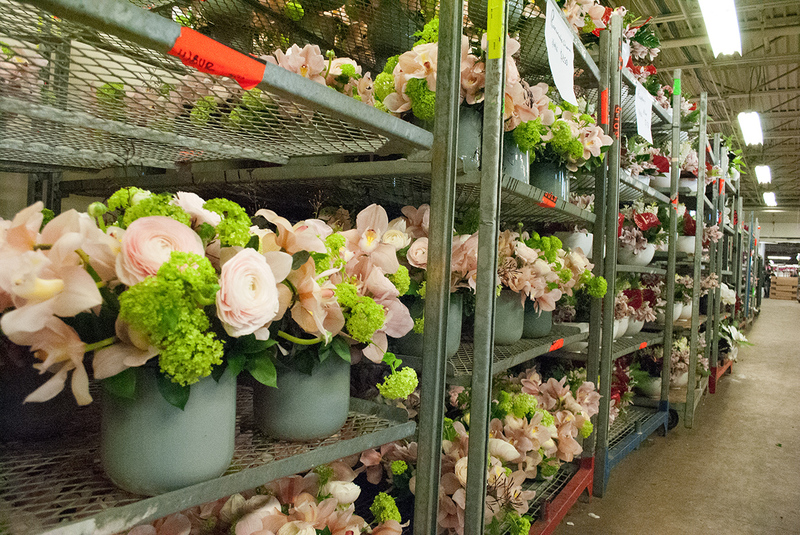 A behind-the-scenes look at flower arrangements before they reach your doorstep. By Madeline Bilis·	 2/12/2016, 3:19 p.m. 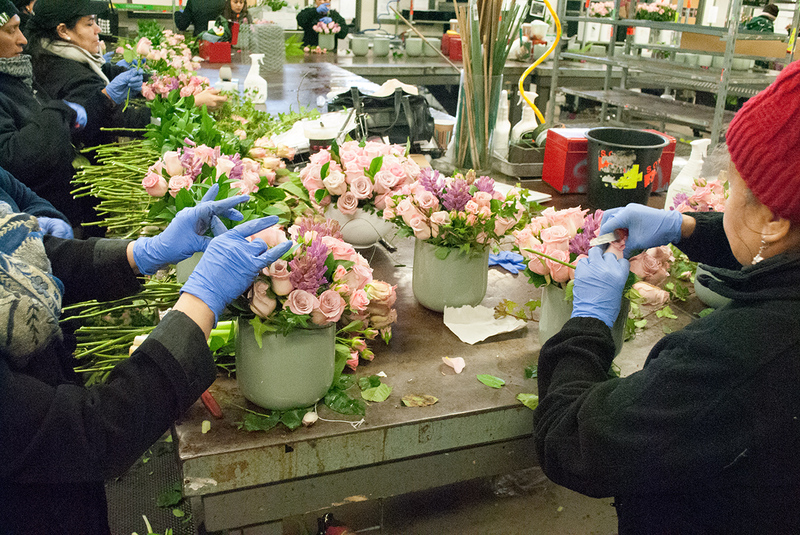 In a temperature-controlled warehouse in the South End, hundreds of floral designers are crafting arrangements by the thousands right now. Emptying bucket after bucket of roses, the employees at Winston Flowers will fill 10,000 orders by February 14. 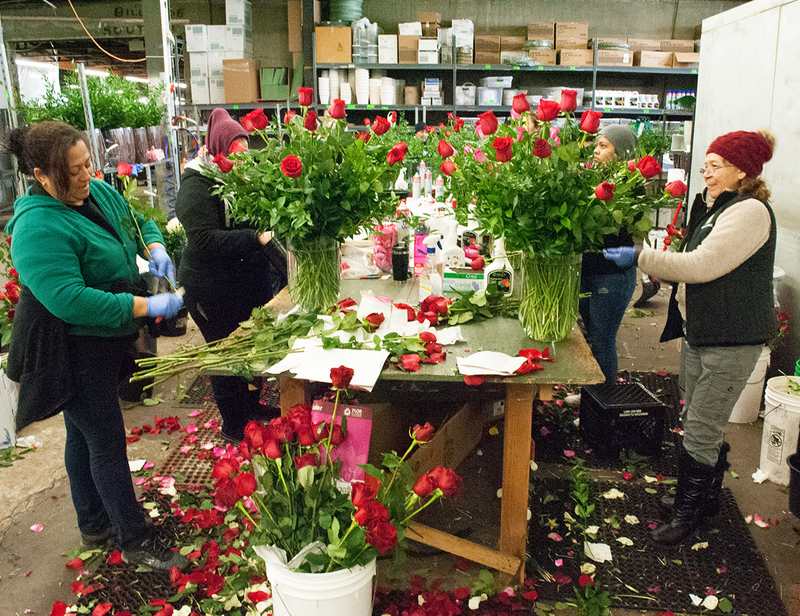 In total, 200,000 long stem red roses will be packaged and delivered for Valentine’s Day—one of the most important days of the year for a florist. 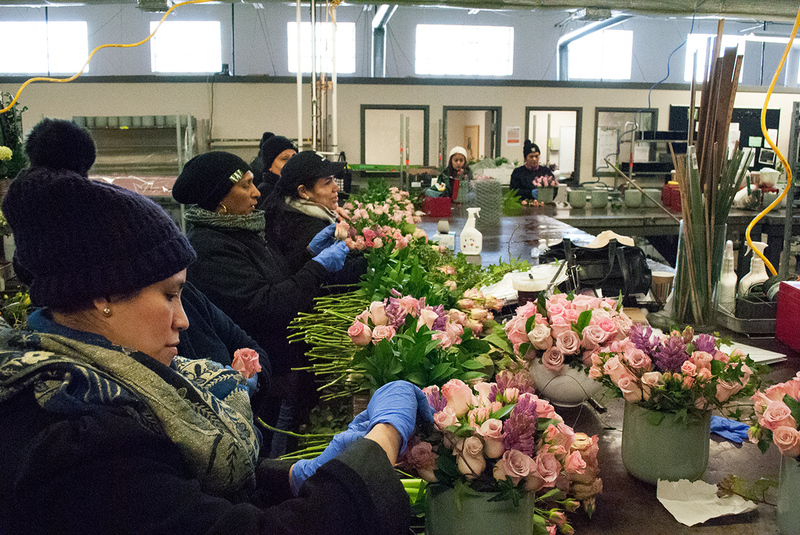 “Right now, we’re ten times busier than a normal day,” explains David Winston, co-owner of Winston Flowers. As Winston walks through what’s been dubbed the “design studio,” he points out clusters of blossoms: delicate Vanda orchids, heavy-petaled heart roses, big-headed Cloni ranunculus, and others. They hail from flower farms around the globe—farms that Winston has visited and selected himself. 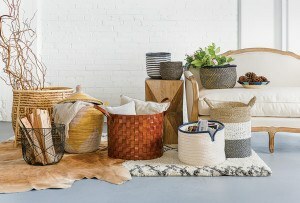 Many of these farms, of varying sizes and in such far-flung locales as South America, Holland, and Italy, grow their plants specifically for Winston Flowers. Once the stems are cut on the farm, the flowers are immediately hydrated, and then put in a cooler. 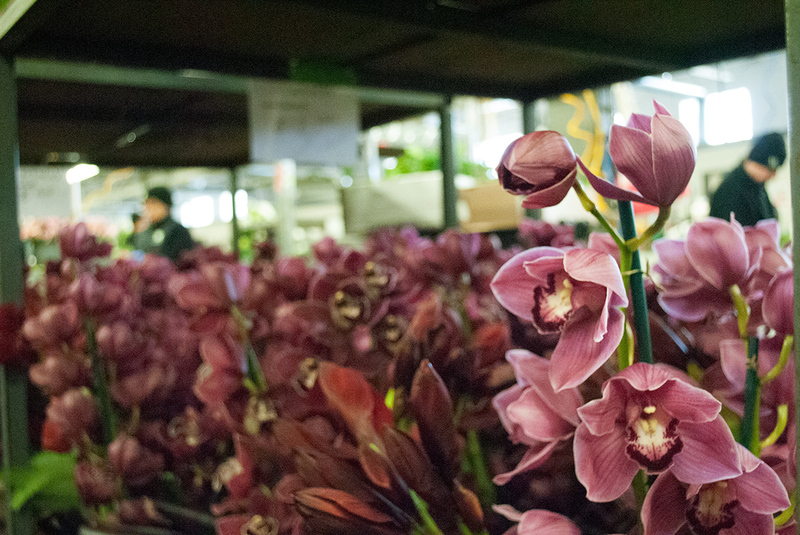 Flowers from farms in South America are flown to Miami, placed in a refrigerated van, and driven for 24 hours straight all the way to Winston’s Boston warehouse. “From the time the flowers are cut, they’re at Winston two days later,” explains Winston. This weekend, the bulk of these flowers are used for Winston’s Valentine’s Day collections. The most ornate arrangement, called “The One,” sells for a cool $750. 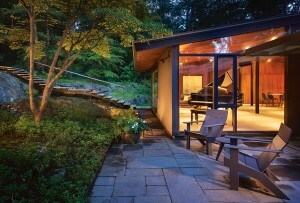 It includes more than five dozen roses, as well as red cymbidium orchids, pink amaryllis, and jasmine. 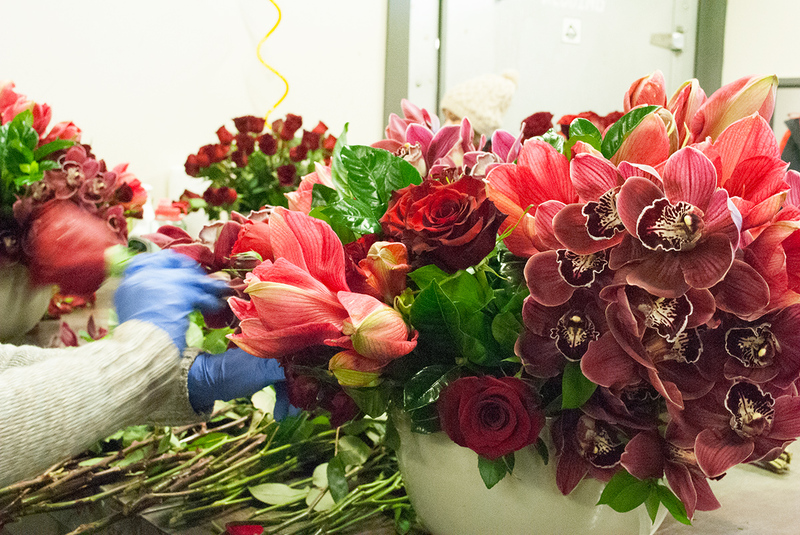 While Winston’s bouquets are carefully arranged in the design studio, it’s what outside of the warehouse that is often cause for concern. “Being in New England, it’s a challenging time of year because we never know what we’re going to come up against,” says Winston. 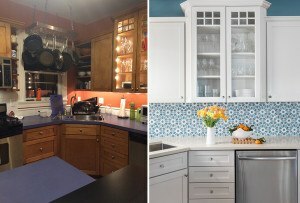 Whether that means being pummelled with snow or enduring the bitter cold that’s approaching this weekend, Mother Nature can be one of a florist’s biggest challenges. “With Valentine’s Day you’re always kinda looking at the forecast two weeks ahead of time,” he says. A total of 130 delivery trucks have already started their rounds, and will be on the road until Sunday at 8 p.m.
Several Winston Flowers locations are open 9 a.m.- 5 p.m. on Valentine’s Day, visit winstonflowers.com for more information. 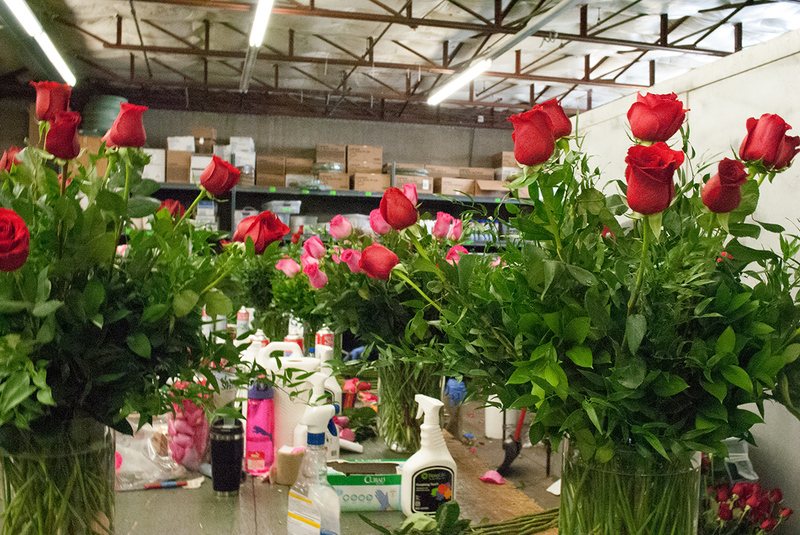 Roughly 8,500 phone calls are made to Winston Flowers in the week leading up to Valentine’s Day. On a typical day, 50 percent of Winston’s sales are from gifts. On Valentine’s Day, it’s 95 percent. 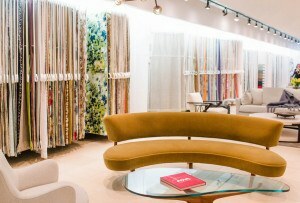 Winston Flowers has seven stores in New England. 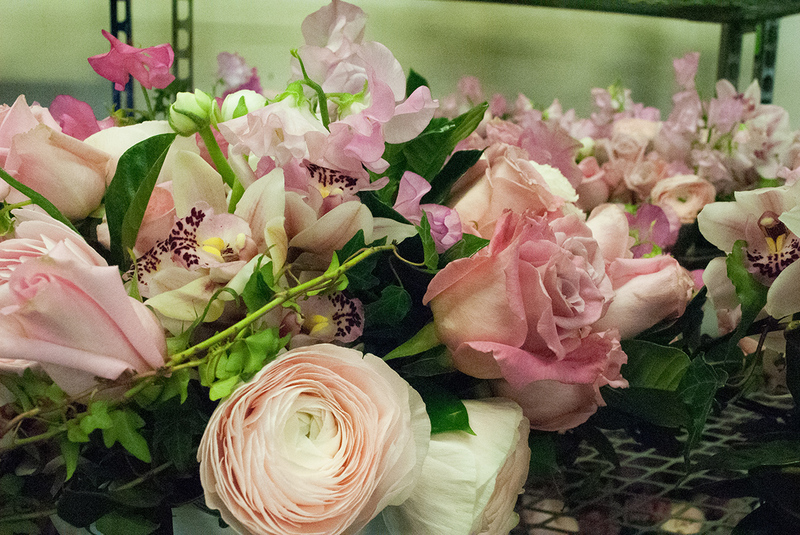 This weekend is ten times busier than normal for the florist. 130 delivery trucks will hit the road for the 3-day weekend. Winston employs 240 people, but takes on 150 temporary employees for designs and deliveries at Valentine’s Day. 10,000 deliveries are to be made Thursday through Sunday. 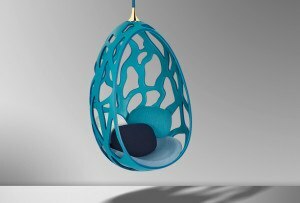 Those deliveries will include 200,000 red roses. Winston once delivered 20 dozen roses to a hotel room in Boston. 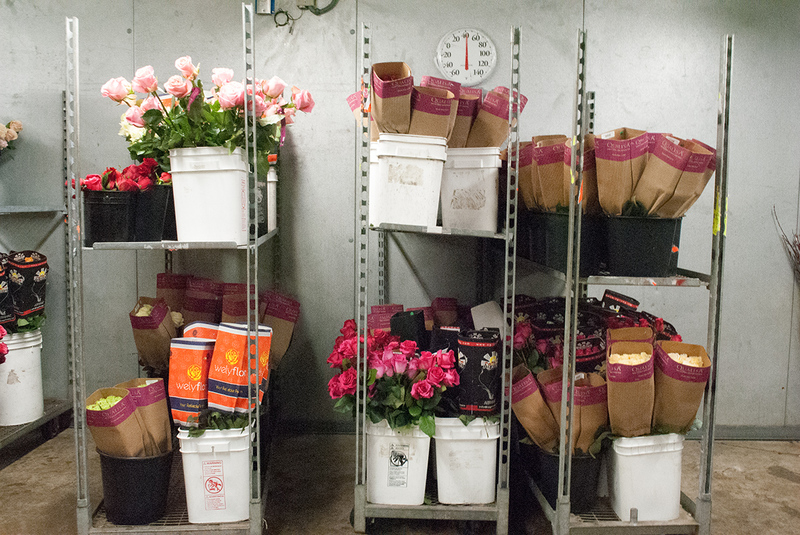 Thousands of roses have traveled from South America to Boston for Valentine’s Day. 30 percent of Winston’s clients add “XOXO” to their personal greeting.